Clipper fans, here is a sobering reminder that despite the fact that your team is better than it has ever been and is poised to supplant the Lakers as the toast of L.A., you are still rooting for a franchise that is owned by a racist shitbag who will always be this close to ruining everything. Yahoo's Adrian Wojnarowski reports that Donald Sterling nearly torpedoed the offseason trade that brought J.J. Redick to the Clippers—after news of the trade had already broken—because, well, he felt like it. 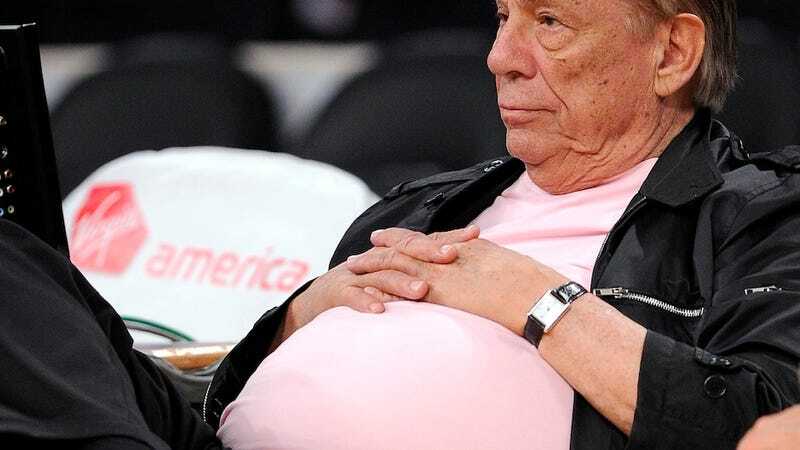 Even worse, Sterling's sudden change of heart reportedly enraged and embarrassed new head coach Doc Rivers, who had orchestrated the deal, to the point that some believed the scuttled deal would result in Rivers's resignation. With Sterling, rational thought and debate aren't always part of the discussion. Whatever his reasons, everyone else awaited Rivers' conversations with Sterling. Rivers contract gave him ultimate management authority on deals, and several sources dealing with the Clippers say that Rivers was beyond embarrassed and humiliated. He feared the unraveling of the deal would cost him his credibility and paralyze him in future trade and negotiation talks, sources said. Rivers' job was to convince the owner – for a second time, in this instance – and there were those who believed a flat refusal on Sterling's behalf could've resulted with Rivers' resignation. "It never got to that," one source told Yahoo Sports, "but it might have had Sterling not come around." The Clippers should be very good this year, and if you are a fan of the team you should be ready to enjoy a great season. Just try not to think about the moronic slug who's always lurking behind the scenes, his finger lingering over a red button.